The Oyo State Government says it will appeal the judgment which declared unconstitutional and illegal the Commission of Inquiry recommending the elevation of some Ibadan high chiefs to Obas. Reacting to the judgment of the court on Friday, Gov. Abiola Ajimobi said that the state will appeal the verdict. 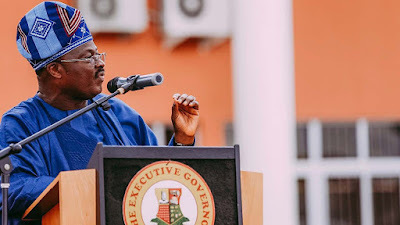 The governor made the assertion at the inauguration of a block of classrooms donated by Chief Akin Olujimi (SAN) to Community Secondary School, Ajara in Ibadan. “Today’s judgment on the Olubadan Chieftaincy review will be appealed immediately. We have embarked upon the exercise, not for joke, but for the good of Ibadan and the people. “We will not relent in making Ibadan great and the greatness shall come from various ways, one of which is the review exercise. “You should not expect people to accept change and radical policy for that matter, but we shall get there.